The stunning village of Bibury in Gloucestershire has always been a real jewel in the Cotswold crown and ‘Bibury Seasons’ with 88 pages of beautiful images spanning all 4 seasons takes you on a photographic journey throughout the year to help show you why. Produced in English and Japanese it makes an ideal gift for anyone who wants to relive memories of a visit past or look forward to a visit in the future. Born in Bibury in 1965 and the youngest of three brothers, Ray spent his first seven years of childhood years in the village, where home overlooked a cornfield and although memories of stubble bombs, straw bale houses, pram wheeled go-karts are now distant, he still visits the village frequently to capture it through the camera. 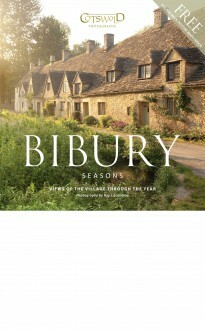 His local knowledge of the village and expert eye for a landscape photograph is evident throughout Bibury Seasons pages.